It’s always interesting to look back at the year just gone and try to figure out how the styles and trends we’ve watched develop will evolve in the coming year. 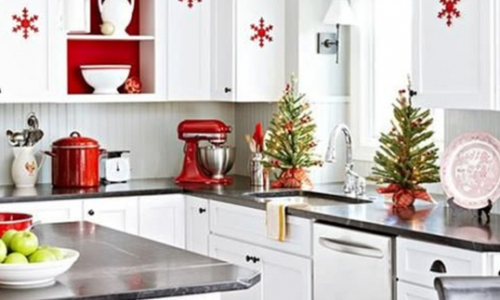 Our trend predictions are just for fun, as we believe that the strongest trend should be creating beautiful kitchens that work well for the family they serve. Whether your idea of the perfect design is taken from this year’s hottest looks, using modern materials like Lapitec, draws on 1950s white marble glamour or is a brilliantly personal mix of the two, we’re ready to help make it real. Moving even further away from the idea of a kitchen as a utility room for preparing food, designers are increasingly making space for other activities. Sitting and eating areas are standard, with many renovators wanting to make space for a sofa, children’s play area or desk. As many British kitchens are of limited size, this trend may take on a more pragmatic look in the average home, with multi-purpose sitting and eating areas. Technological advances aren’t limited to smart phones, computers and electric cars: they’re also hitting traditional areas, including stone working. Quartz worktops are already popular, and new shades and styles are hitting the shelves each year. Manufacturers are also developing other amazing processed stone slabs. 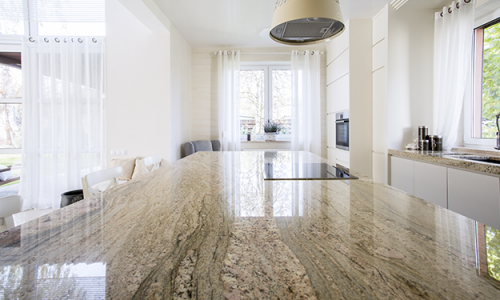 Lapitec, which is 100% stone (no resin binding) is likely to be a hit. With an almost porcelain-like clarity and the toughness of granite, it’s just one of the new kids on the (butcher’s) block. As these stones give customers more choice at more affordable prices, their success is sure to continue. Open plan kitchen / dining / living rooms have been popular for a while, with designers often using a statement worktop in a stunning marble (or more affordable Lapitec) to mark the boundary of the kitchen. This trend is set to continue and grow, with open access stretching from rooms to shelves. Cabinet doors may be a thing of the past in some kitchens, with everything out on display. This may seem like one for the showroom, but if you’re throwing your hands up in horror at the idea of having every bit of kitchen clutter on display, remember that you can go for half measures: a few carefully arranged open shelves, frosted glass doors and voila – you’re on trend and still tidy. A design trend that’s resonating throughout the home, touchable textures are a glossy magazine hit that’s easy to incorporate into a practical family kitchen. Mixing and matching rough and smooth is a great way to use the look. As an example, you might choose a kitchen worktop with the high gloss, almost glass-like finish of Lapitec and pair it with a splash back of rough hewn limestone tiles.